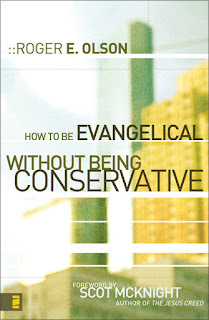 I just finished reading How To Be Evangelical Without Being Conservative by Roger E. Olson. I picked it up originally at the 2009 National Pastor's Convention in San Diego where it was proudly displayed in the bookstore. In light of several conversations I have had over the past months with Steve (who I will miss greatly, this Sunday is his last Sunday at our church) about what the label "evangelical" does and/or should entail, I though it might be a good one to read. It was indeed quite helpful and interesting. It might be one of the most interesting books I've read this year. I wrestled with this book, especially in the early chapters. I wasn't sure I was willing to accept Olson's definitions, indeed I wasn't sure if I agreed with him. In many ways, Olsen's definition of "evangelical" might be insensitive to folks who don't consider themselves to be evangelicals. I'm not sure one absolutely has to be an evangelical to fit his broad definition which includes affirming the Bible as authoritative, having some sense of "conversion," and respecting the historical doctrines of the church among other elements. However, I believe that as he fleshes it all out, he demonstrates that evangelicals adhere to these definitions distinctively from how a theological liberal might. Although his audience is obviously more right of center than I (and than Olsen himself... you can tell from his frequent defensive tone), I think even classical liberals might appreciate the sort of evangelicalism that Olsen demonstrates. I think he describes a sort of evangelicalism which might bridge or at least transcend liberal and conservative distinctions. I didn't appreciate the sort of passe presumptuous references to homosexuality. His audience (more conservative evangelicals) probably would have thought nothing of it, but I had a problem with his assumption that homosexuality should be regarded as a sin just like adultery. Without those references, I may not have had as much trouble with this book... but that shows my over-sensitivity to the matter. 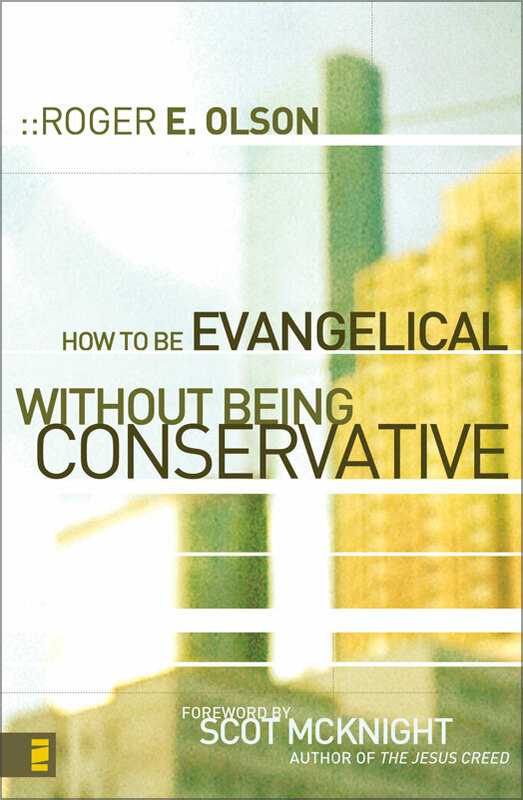 There were a few other places where I really wanted to argue but overall, this book lays some foundation for evangelicals to rediscover the true meaning of the label. This book would be outstanding for group discussions, especially in the context of an evangelical church. Each chapter deals with a specific topic, it's quite accessible, and in some places it really could be inspiring for group identity. It will almost certainly spark good conversations. In fact, as I read, I thought of a few people (Steve in particular) from whom I'd be curious to hear their thoughts on the book.